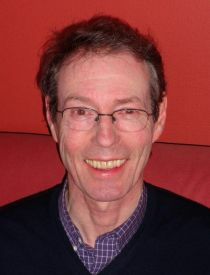 Tim Hatton is Professor of Economics at the University of Essex and a member of the Crawford School of Public Policy at Australian National University. He is a Fellow of the Academy of the Social Sciences in Australia (ASSA) and of the Academy of Social Sciences (UK), and a Research Fellow of the CEPR (London), CREaM (London) and the IZA (Bonn). He was founding editor of European Review of Economic History, published by Cambridge University Press (1994-8), President of the European Society for Population Economics (2010) and founding director of the ANU’s Centre for Economic History (2012-14). In 2012, he was awarded the prestigious ‘Clio Can’ by the Cliometric Society (US). Tim Hatton’s research is in economic history and applied economics. He has published extensively on the economic history of labour markets, including unemployment, poverty and migration. In recent years he has worked on health and heights in Britain and Europe since the late nineteenth century. His research interests also focus on the causes and effects of international migration, and on immigration and asylum policy. His books include Global Migration and the World Economy: Two Centuries of Policy and Performance (MIT Press, 2005), co-authored with Jeffrey G. Williamson, and Seeking Asylum in the OECD (CEPR, 2011). His current research is on refugees and asylum policy as well as on public opinion towards immigration.